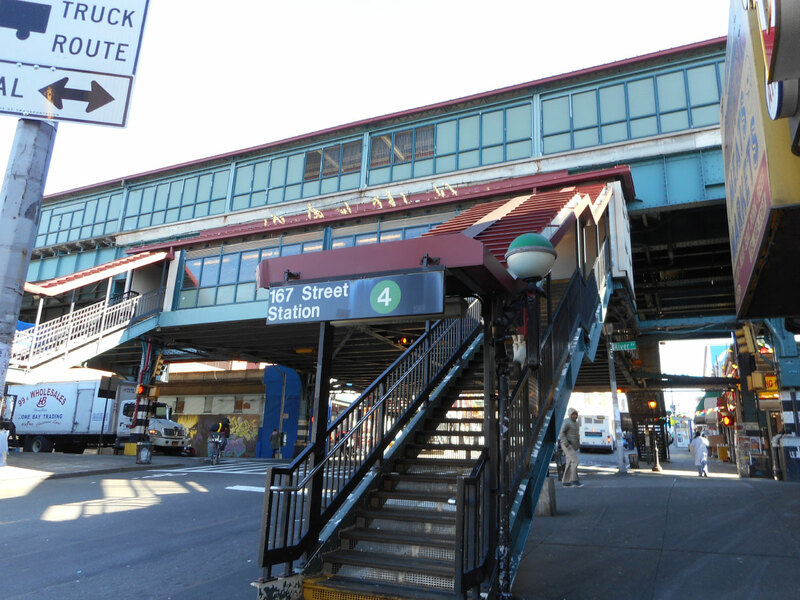 The New York City Council has approved a major rezoning of the Bronx’s Jerome Avenue, a vital thoroughfare in the East Bronx that’s lined with auto body shops and crowned by the elevated 4 and 5 trains. The rezoning has been in the works since 2016 and is the first in the Bronx under Mayor Bill de Blasio. The 92-block-long rezoning of the North-South street is meant to encourage the construction of up to 4,600 new housing units in the area, 1,150 of which will fall under the city’s affordable housing programs. The city will subsidize new construction, because it says rents in the area are too low to lure market-rate developments. The rezoning unanimously passed votes by both the City Planning Commission in January and the City Council’s Land Use and Zoning and Franchises Subcommittees in March, and was again unanimously approved by the City Council yesterday. The basic outline of the rezoning follows that of East Harlem, which passed in December of last year; the city had initially wanted to rezone the major commercial spine of the Bronx to allow for the densest development possible under the zoning code (R7, R8, R9). Opponents who felt that the rezoning would displace local businesses and drive up rent costs throughout the area were opposed, as was Borough President Ruben Diaz Jr., who negotiated with the de Blasio administration to preserve more than 2,000 units of affordable housing. As part of the new conditions of the final deal, the city will include $189 million for improving the area’s parks and streetscapes, including pedestrian safety upgrades and lighting, cameras and crosswalks under the elevated subway tracks. The construction of two 458-seat elementary schools are also part of the package, as is an anti-harassment bill–to prevent landlords from pushing out tenants–and a $1.5 million grant for retraining and relocating displaced businesses. The Bronx rezoning, the fifth of 15 planned neighborhood rezonings under Mayor Bill de Blasio’s administration, follows those in East New York, Far Rockaway, Midtown East, and East Harlem.